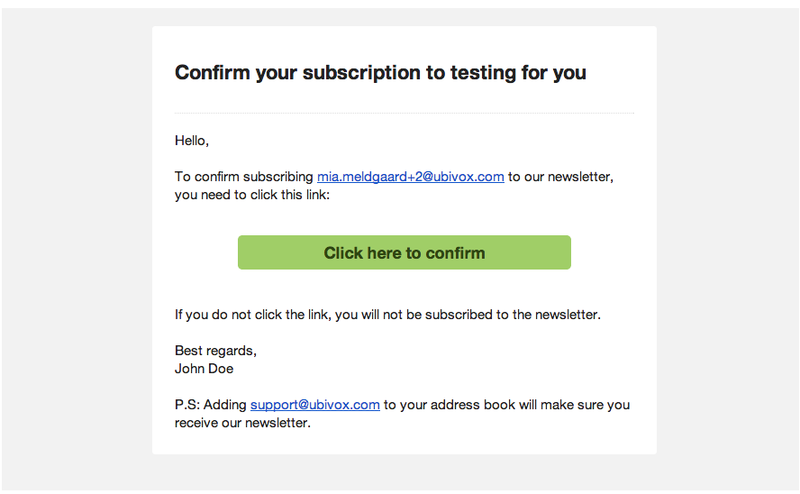 In Ubivox you can get a standard generic sign up form, a link you can use at your website. It is available for each list you have. There are 3 ways to insert a web form on your website. 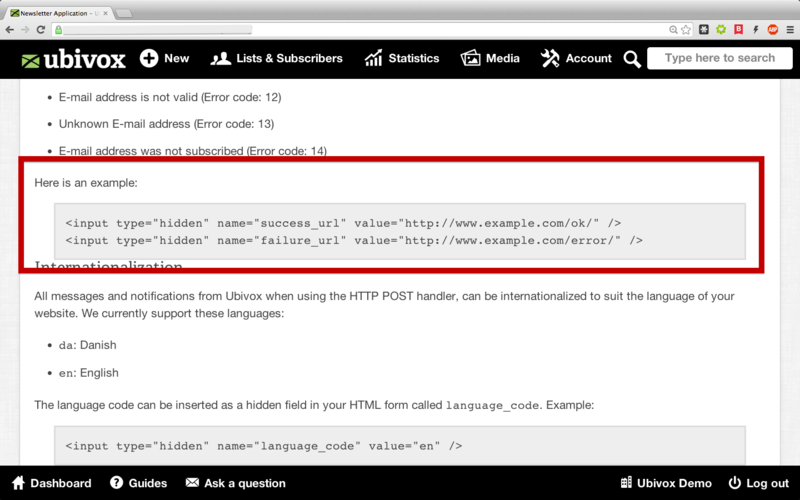 HTML code on the website, and using Ubivox' default confirmation pages. Remember to update your opt-in e-mail before you can use the sign up form. 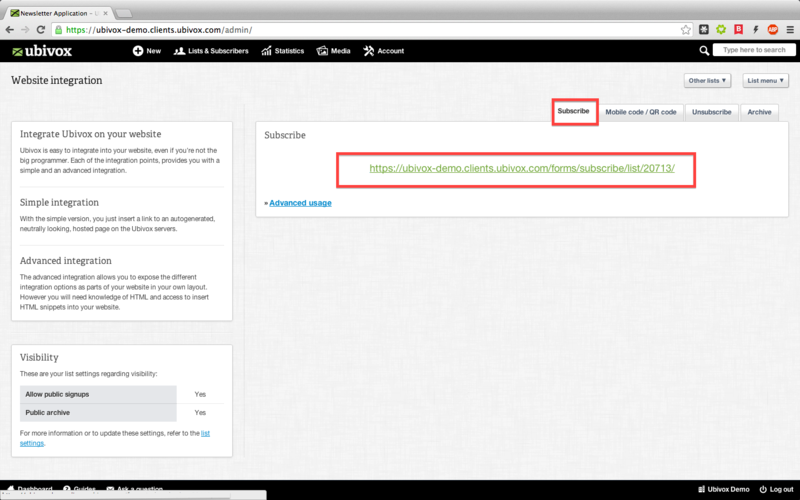 1) Start on the Dashboard, click on your list, you would link to. You can see different options in the tab menu. 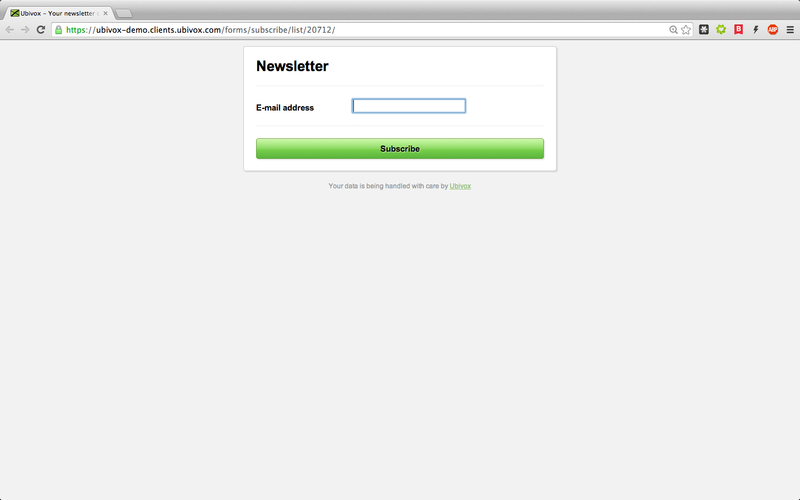 3) In the first tab Subscribe you will find the web form. 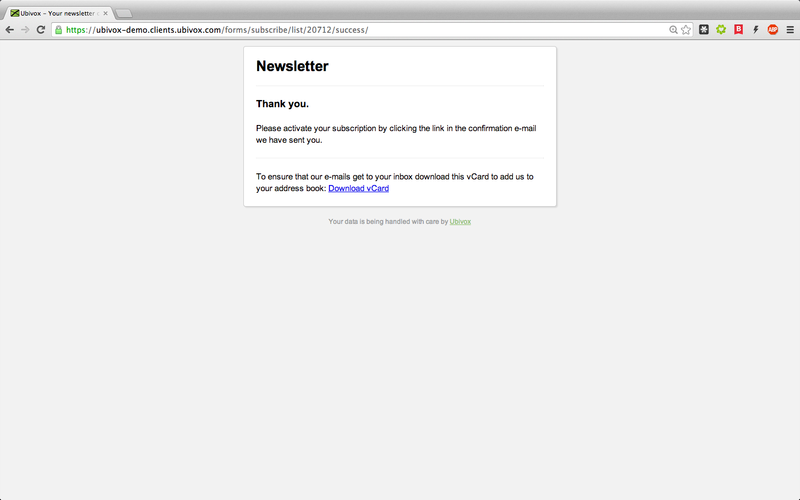 Click on the link and you can see the generic sign up link, you can insert this link in e-mails and your web site. 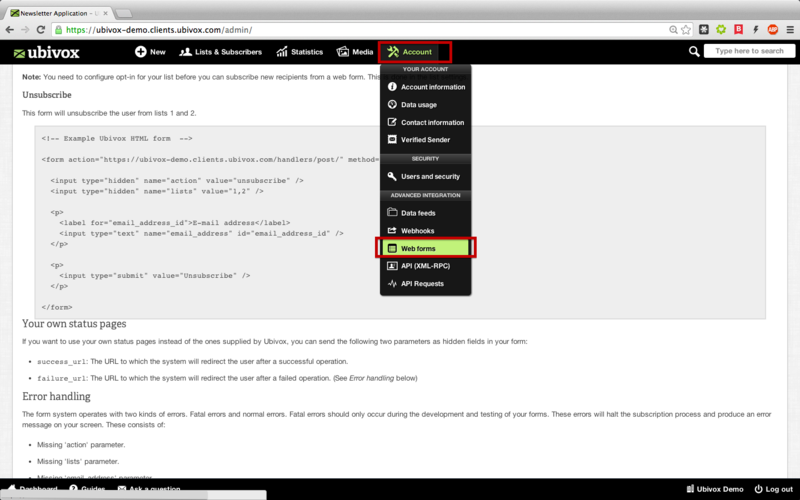 4) We recommend that you use Advanced usage, here the web form is with HTML code. Click the link to see the default formula in Ubivox, which depends on how many data fields you have chosen. 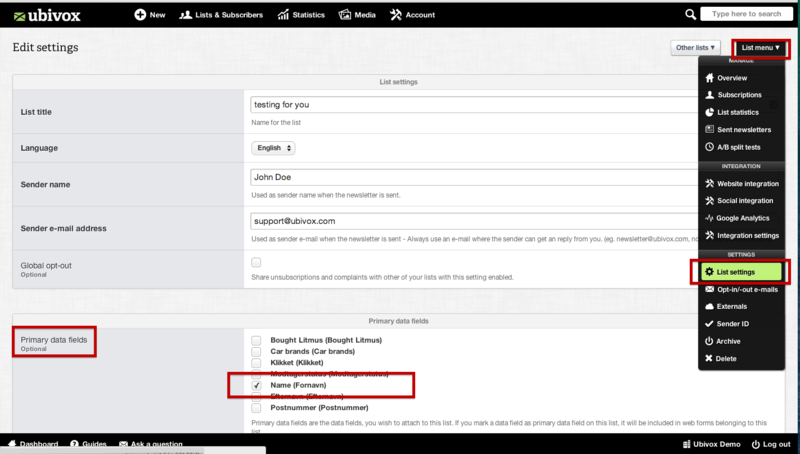 5) To have a Subscriber data fields in your form eg. name. 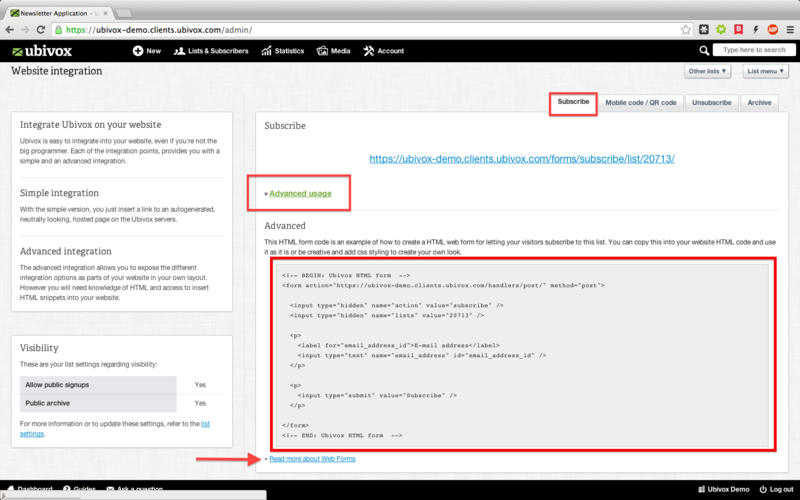 Create a data field with Name in the top menu Lists and subscribers. This the default success_url: The URL, the system will redirect after entering the e-mail. This is the default failure_url: The URL, the system will redirect to after an error occurs. 7) We recommend to read the Web forms guide, found in Account -> Web forms to get an elaboration of web forms, Example HTML form and parameters for your own status pages. 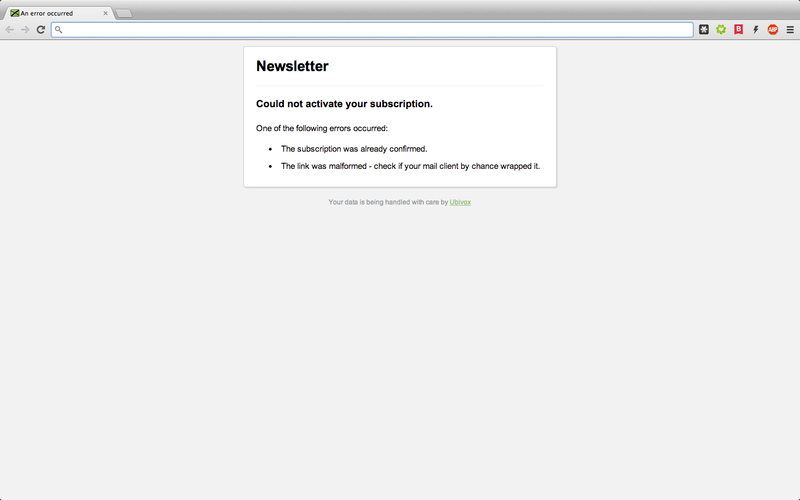 You can choose the status pages for the subscriber after registration. 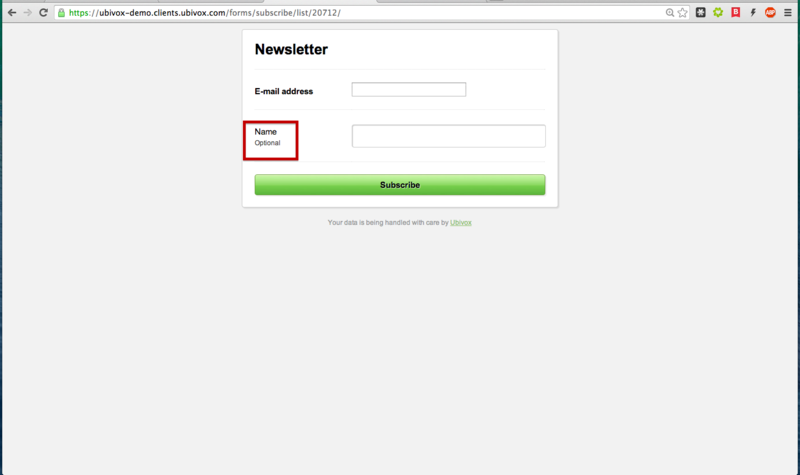 Add the following lines in the HTML form and we will redirect the sign up to this URL. Several large email providers use SPF and Sender ID in order to validate the sender of an email. If Ubivox is not configured as a verified sender, on your behalf, it can mean that some providers will refuse your e-mails. 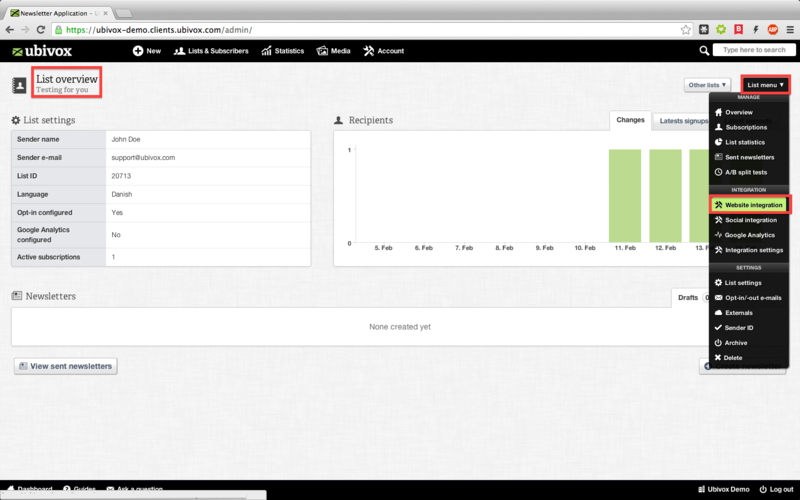 Is is therefore important to configure SPF and Sender ID in Ubivox. This guide guides you through the process and elaborates how it is done in praxis.